Should I fix my current faucet, or should I replace it with a water-conserving fixture? I’ve heard the newest water-saving toilets don’t work well, is that true? Should I attempt to replace my current bathroom fixtures myself, or hire it done? When it comes to plumbing questions, we know you face a variety of situations throughout the year. For many plumbing fixtures, they can be replaced in an hour or two, depending on your level of experience and providing you have the proper tools and supplies on hand. It all comes down to how much time you choose to dedicate to doing your own home repair. 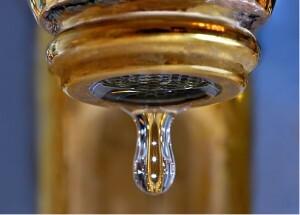 What is the pay back for water-conserving fixtures? If your water comes from a municipal system, you’ll reap the rewards fairly quickly. With some plumbing fixtures, you can save a substantial amount of water in a very short period of time. If your water supply comes from a well system, you will see savings both in the amount of water you consume, and in the wear and tear on your pump. Payback depends on how often you use your various plumbing fixtures throughout the day. Reducing a toilet from 5 gallons to 1.6 gallons per flush can save many gallons per day, especially for a larger family. Shower heads and faucets can reduce the flow from 5 gallons per minute to 3 gallons and less. Quickly do the math, and you can see your savings is substantial. Talking about water conservation and actually implementing it are two different things. If you aren’t sure where to start, have questions about the best equipment, or just don’t have the time for installation, your local plumber can help. They’ll provide all these services and more.